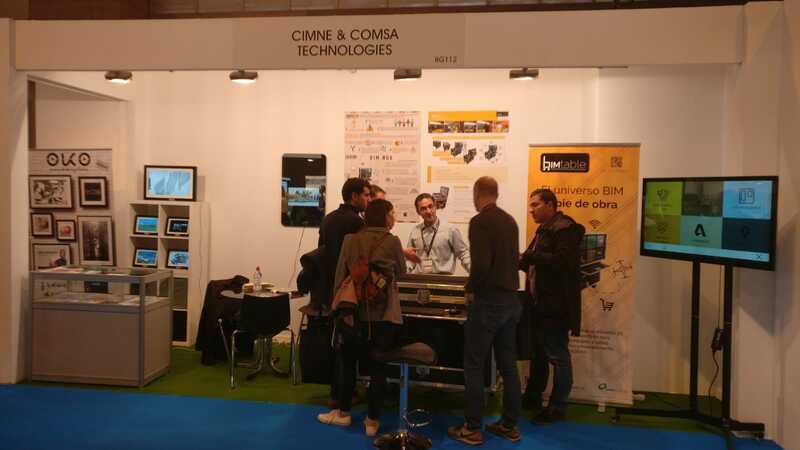 During the 20th edition of the Construmat event in Barcelona, PMS together with their partners COMSA and CIMNE, presents the BIMTABLE. PMS had a stand in the Future Area where innovative products were held. 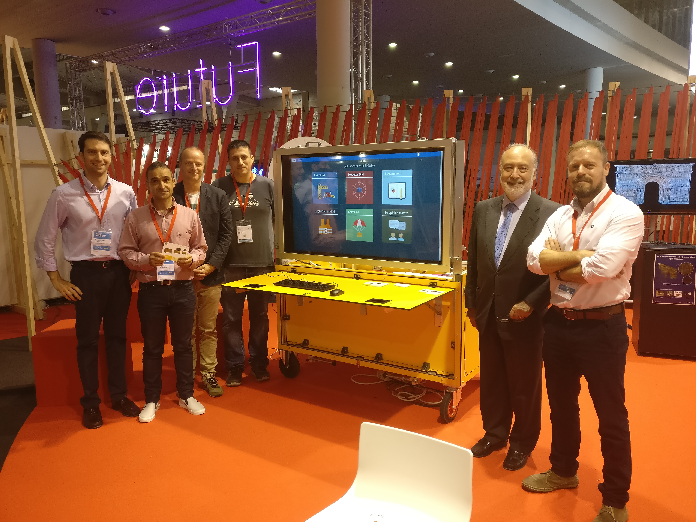 From left to right: Eugenio Oñate Hospital (CTO of PMS), Javier Mora(PMS and Cimne), Gilbert Peffer (PMS and Cimne), Angel Priegue (Cimne), Eugenio Oñate (Director of Cimne) and Jordi Jimenez (ITC Director of Cimne). The BIMTABLE concept offers a robust, portable, collective and easily manageable solution that moves the BIM digital office where the work is executed, eliminating the distances between the execution work and the management carried out in the offices, reducing time displacement and facilitating a much more direct and exhaustive monitoring of the day to day of the work.